A Manhattan jury has awarded the family of an asbestos victim a record-breaking $60 million. The verdict is the largest asbestos award in the city since a $75 million verdict in January 2017. The victim in the case was a laborer who worked on single-family homes across Brooklyn in the 1970s and ‘80s. His work involved ripping out and removing asbestos-laden boilers from properties. The boilers were manufactured by three major boiler manufacturers who the plaintiff said knew about the health risks associated with asbestos, but did not warn the public. Though the companies claimed to have safety precautions in place in their factories to protect workers from the dangers of asbestos, attorneys for the plaintiff argued that they were not passing those warnings on to people like the plaintiff. As a result, the plaintiff did not have the opportunity to protect himself. 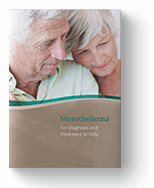 The plaintiff was diagnosed with pleural mesothelioma in July of 2015. “He sued the three companies a year before he died in July 2016,” reports the New York Post. He was 56. At the end of the trial, which lasted nine weeks, the jury found the boiler manufacturers negligent and reckless in causing the plaintiff’s death. If you have been exposed to asbestos on the job or in any other environment, see your doctor right away. According to the National Cancer Institute (NCI), there is no safe level of asbestos exposure. This means even small amounts of exposure could lead to asbestos-related diseases such as mesothelioma. Although there is no cure for the disease, early detection often leads to better treatment options and outcomes. "Asbestos Exposure and Cancer Risk." National Cancer Institute (NCI). U.S. Department of Health and Human Services (HHS), National Institutes of Health (NIH), 2018. Web. 09 May 2018. Marsh, Julia. "Critics Say Tort Reform Necessary after $60M Asbestos Settlement." New York Post. NYP Holdings, Inc., 17 Apr. 2018. Web. 09 May 2018. "$60 Million Award by Manhattan Jury in Asbestos Related Lawsuit." Neural IT. Neural IT, 18 Apr. 2018. Web. 09 May 2018.